Kvass is a fermented cereal beverage which produced from malt, rye flour, stale rye bread, and sucrose and is consumed mainly in Eastern Europe. Moreover, it is of interest as one of the few examples of traditional, non-alcoholic cereal-based beverages. 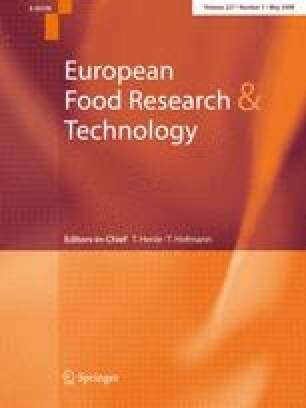 In this study, a commercial kvass sample was characterized with respect to the fermentation microflora and the concentration of microbial metabolites. Lactobacillus casei and Leuconostoc mesenteroides were present in cell counts of 7.3 × 107 and 6.0 × 107 cfu mL−1, respectively. Saccharomyces cerevisiae was present in cell counts of 3.0 × 107 cfu mL−1. PCR-DGGE analysis verified that all dominant fermentation organisms were cultivated. Microbial metabolites in kvass were ethanol, lactate, and acetate. One of the kvass isolates, Ln. mesenteroides FUA 3086 harboured a putative dextransucrase gene and formed dextran and isomalto-oligosaccharides from sucrose and maltose. Fermentation of model kvass wort confirmed that all kvass isolates grew in the fermentation substrate, moreover, formation of isomaltotriose by Ln. mesenteroides FUA 3086 was observed in model kvass fermentation.